or dine out, a great meal awaits you. Food is the language of love in Paris. Paris vacation rentals offer visitors the chance to delve into one of the world's premiere cities in an intimate way and discover imaginative cuisine found nowhere else. While restaurants get 5-star billing (and deservedly so), you may be surprised by the sophistication of market vendors, who serve award-winning foods on the streets of Paris. So whether you eat in your Paris apartment or treat yourself to a night out at a restaurant, you're sure to enjoy a meal you'll never forget. The rue Cler is an open-air marketplace that captures the essence of Paris. With fruit and vegetable stalls, flower stalls, indoor cafes and a lot of sightseeing opportunities, it's no wonder this is one of the trendiest places in the city. Locals visit to collect everything needed to prepare meals from week to week and enjoy healthy eating with fresh, organic produce; La Maison du Jambon is considered one of the best delicatessens in Paris. A wide variety of meats, pastries, and even household items are available in rue Cler, making it a true one-stop shop. Le Meurice, L'Astrance, Huitrerie Regis, Macéo, and ZeKitchen Galerie are considered some of the most popular and renowned restaurants in both Paris and the world at large. Each is located within walking distance from many Paris apartments for rent. Most evening meals range from 50–100 Euro per person, but may be as much as 200 Euro, which is highly competitive given the return. Most Parisian meals are a decadent affair, with sumptuous cuisine and several rounds of plates presented. Lunch menus offer an excellent opportunity to sample the delights at discounted rates, and most restaurants will provide a menu on their website or outside the dining room to help you stay within budget. at waters edge at your beachfront vacation rental. If you're like a lot of people, a vacation can mean you come backed weighted down with more than just souvenirs. A week's worth of eating out, eating on the run, and snacking in the car or in the airport because you're bored is dangerous even for people who don't have a weight problem. And it's darn near deadly for someone trying to watch what they eat. Staying in a vacation rental is a great way to win the battle of the travel bulge. You can stay in complete control of what you eat because you'll have a kitchen with everything you need to prepare meals and store your food. You can eat every dinner in, pack a lunch for when you're on the go, and start your day right with a breakfast of your choice (and not just what's on the hotel or resort menu). But you still have to travel to your destination, and the journey will be filled with temptations. The first thing to remember is to pack healthy, tasty snacks you can enjoy on the way. Whether you're driving or flying, you'll have countless opportunities to eat the wrong food. Bring low sugar and low fat cereal bars, diet drinks, water, fruit, small bags of pretzels, and beef jerky (though you should also watch your sodium intake with the last two). Another thing to keep in mind is that while you're driving or flying, you won't be expending many calories, so there's really no need to eat all that much. You'll be sitting in a car or airplane. If you eat a meal along the way, try to eat less than you normally do. You might feel a little hungry, but you'll feel better about it in the long run. Another way to stay on top of what you eat is to track your caloric intake. Be sure to read food labels of everything you eat. If you have a smartphone, get an app such as MyFitnessPal. It can help you keep track of everything you eat. It acts as a food diary so you can avoid the pitfall of "unconscious eating." When you get to your destination, leave time for shopping before you arrive. Most vacation rentals won't have spices, so go ahead and pick up the ones you'll need, along with any staples. If you're pressed for time, you might check with the property manager to see if there are any grocery delivery services in the area. If you start off with food to cook (as well as healthy snacks), you're more likely to eat healthy at the start of your vacation. While you want to watch what you eat while on vacation, don't deny yourself completely. Allow yourself to indulge in a steak, chocolate cake, a favorite drink or two and other treats from time to time. You're on vacation, after all! Just be sure to stay on track to prevent a dangerous slide into unhealthy eating patterns. If you're traveling to Europe, North Africa or the Middle East and really want to get a feel for the history of the region, check out a new tool from the geniuses at Stanford University. It's called Orbis [http://orbis.stanford.edu/#], and it lets you find routes, costs and travel time between destinations popular during the Roman Empire. That's right -- the Roman Empire. Between this fascinating new tool and vacation rentals along the way, you’ll have the historical trip of a lifetime. The tool provides travel costs in denarii, the currency used in ancient Rome, and gives you various alternate routes that would have been used, such as sailing ship and river routes. 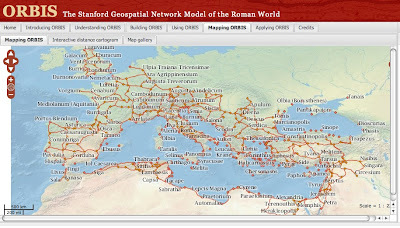 Formally called “The Stanford Geospastial Network Model of the Roman World,” it’s based on historical knowledge of the network of cities, roads, river routes and sea lanes used by the Romans. It reflects conditions that existed at about 200 CE. Orbis encompasses 751 sites and covers 4 million square miles and takes into account 14 different types of transportation (ox cart, horse relay, fully loaded mule, etc.). A true history buff could plan an entire vacation around this remarkable and fascinating tool. It shows the location of long-forgotten Roman centers of commerce and industry. Or, you could use it for just part of your trip. Vacation rentals would be the perfect places to stay since you'd get a real feel for local customs and could immerse yourself in the history of the region. With Orbis, you'll find hidden gems, new and interesting locations, and have a greater appreciation for both our modern world and the achievements of the ancient Romans. From recycling and reducing, to biking and walking, people everywhere are taking steps to take responsibility for making the planet greener. Travel is no exception, and vacation rentals are one way people are traveling green. 1. Stay in a Vacation Rental. This is really one of the greenest ways you can travel. Vacation rentals are usually 2nd homes or vacation homes that don't get a lot of use by the owners. They most often in highly desirable vacation locations. By using a vacation rental, your making good use of an existing property , rather than adding capacity to a hotel or resort. 2. Take a Train. Rail travel is still an alternative in the United States. Most people who've taken a train cross country have enjoyed the experience. The tracks go through areas you'd never see on the road, and the slower pace is leisurely enough to make the journey enjoyable, yet fast enough to get you where you're going in a timely manner. 3. Stay Closer to Home. While a trip to a faraway island is certainly a necessity from time to time, you might try visiting areas within a one or two day drive of your home. With GPS and smartphones, it's easier than ever to travel by car. Yes, you'll be using gas, but in all likelihood you'll be using less energy overall. Overseas travel was up 13 percent during the first two months of 2012, when compared with the same time last year, accordion to the US Commerce Department's Office of Travel and Tourism. 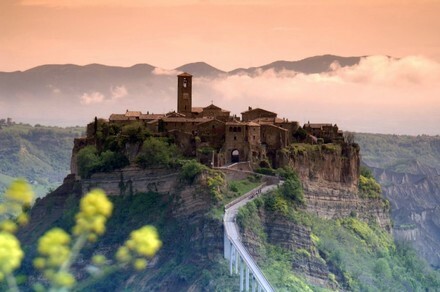 Topping the list was Europe, up 9 percent with 1.1 million travelers. The Caribbean was a close second, with 1 million Americans slipping on a pair of flip flops for fun in the sun. That's a 14 percent increase from last year, a good indication that people are back to spending money on leisure travel. Asia saw an 11 percent incrust, while Central America saw the biggest increase at 25 percent. Overall, US overseas travel outside of North America accounted for 47 percent of all trips. Travel to Mexico had a 41 percent share, while travel north to Canada accounted for 12 percent of all trips. In another positive sign, the UN World Tourism Organization reports that occupancy in the hospitality sector in 2011 rose 2% in both Europe and the Americas, and overall showed improvement from the decreases of 2008-2009. And international tourism worldwide saw 4.4% growth in 2011 over 2010. Stay Off the Beach. When taking a seaside vacation, stay in a vacation rental a few blocks away from the beach rather than right on the beach. You'll still be close enough to walk and catch the ambiance of a beachside community without the higher prices. If being just steps from the ocean is a must, but don't want to pay high season prices, then travel after Labor Day, if possible. The weather will be just about the same as the last week of August, but you'll save as much as 50%, maybe even more, compared to August or July. Drive Smart. If you're driving to your vacation rental, go the speed limit and save as much as 25% on your fuel costs. Avoid fast starts and accelerate gradually. Driving defensively not only keeps you from an accident, it will save gas over the course of your trip. Be sure to pack light as well. The more weight in the car, the more gas you'll burn. And if you're luggage spills up onto the roof, you might notice a 5% decrease in your fuel efficiency. Vacation rentals have washers and dryers, so keep extra clothes and gear to a minimum. If you don't already have it, get roadside assistance from a motor club, especially if you're traveling alone or with small children. Theme Parks. Research the theme parks you'll be visiting and find out what kind of discounts you can take advantage of. Some offer seasonal specials on year-round passes that are sometimes discounted to as low as a single day rate. Avoid staying in the theme park lodgings. You're certain to pay more for less space and fewer options. With vacation rentals, you can often be quite close to the theme part, yet have your own kitchen, plenty of space, and lots of private amenities such as game rooms, pools and hot tubs. Plus, they're almost always cheaper than hotels when traveling with a group of more than two. Buy Your Plane Tickets as Soon as Possible. Airfare gets more expensive the closer you get to your travel dates. Book as far in advance as possible. Air travel on Tuesdays, Wednesdays and Saturdays usually costs less, and connecting flights are cheaper than non-stop flights. Packing light for air travel is also recommended, what with most airlines charging for extra luggage now. Announcing our newest contest--you can win a $250 VISA® Gift Card in the Perfect Places Vacation Photo Contest. Get all the details on our Facebook page. Enter as often as you like. The winner will be chose shortly after June 6. Good luck! Click to read aboutthis incredible photo. Pinterest is now the third largest social media website, behind Facebook and Twitter. That's pretty good company. Pinterest is based on images. If there's a vacation rental, a wonderful view, an article of clothing, a craft project, piece of furniture or other image you want to share, you "pin it" on your Pinterest board and share it. You can also repin images pinned by other users. Think of Pinterest as a big blank refrigerator, where everyone pins images they want others to see (though it's much more organized than many refrigerators!). You organize your pins on "boards" based on anything you want. Most people create boards on specific subject areas, like "Fantastic Views," and then add images that fit the subject to the board. Vacation rentals are perfect for Pinterest, whether you're a property manager or owner, or a traveler. Owners can feature their properties on their boards, as well as images from their surrounding area. You can build links into the images (it's easy), so that users can click and go right to a property page or to that cool new restaurant you want to tell them about. Travelers can share images of places they'd like to stay, and even ask opinions of their fellow pinners. Many pinners are doing so to try to decide which rental to stay in. Pinterest has a predominantly female user base. This may be because it got its start in fashion and crafts. Many women also make the "where to vacation" decisions for their families, so Pinterest is an easy way for them to gather, share and discover information. Pinterest is one of the easiest social media sites to use. It takes just a few seconds to pin a photo and add a comment and link. You'll then be notified about who repins or likes your pins. Check out the Perfect Places Pinterest page for ideas. Today we're featuring five our newest properties located around the world and in the United States. The first is somewhat unusual, but beautiful and exciting. It's a 10 bedroom, 10 bath suite in Patan, Nepal. It's located in the Hotel Goodwill, just a few minutes walk from temples and stupas (mound-like structures containing Buddhist relics), as well as other cultural attractions. You'll also find a an outdoor swimming pool, large water slide, steam bath, sauna and a first class restaurant. It's fitting this property is on forGetaways.com, since you'll quickly forget the cares and stress of your day-to-day life once you enter this wonderful suite. In Andalucía, Spain, along with Costa del Sol, near Gibraltar, you'll find this brand new, luxury villa between Sotogrande and La Duquesa. It's elegantly furnished, including marble flooring throughout, a fully equipped, modern kitchen, leather sofas, a Jacuzzi and power showers. Three terraces offer a stunning view of Gibraltar and the African mountains across the Mediterranean that will stay with you long after you arrive home. Of course, you'll have extensive beaches, swimming pools and plenty of entertainment close by. Halfway between Bologna and Ferrara, sits L'Orlandina in Galliera. It's one of the most beautiful and charming country villas in the region. Built in the 1800s, it's surrounded by its; own park and has been recently refurbished to provide guests with first-class comfort. There are two different units, Pastello (which can accommodate 12) and Mansarda (which can accommodate 4). The entire villa can accommodate 22 guests total, if you so desire. In addition to being located conveniently near the Bologna Fiera District, L'Orlandina has large, comfortable rooms, is fully air conditioned, has modern appliances, and a variety of antique furniture to make your stay authentic. Nova Scotia is a family-friendly and couples place or visit. This beachfront cottage sleeps 7 and offers lots of privacy (the beach is private! ), lovely views, a hot tub, large open deck and other amenities to make your stay comfortable and memorable. Enjoy golf, kayaking, swimming and rafting in the Northumberland Strait. On the peaceful shores of Lake Chatuge and enveloped by the scenic North Georgia mountains is Serenity Cove. In addition to all the peace and quite you want, you'll have a boat dock and ramp, hot tub, a fireplace, full kitchen and covered deck. Bring your own boat, or rent one when you get here.